There’s just something about jazz music. The genre’s melodic rhythms and meaningful improvisations have the power to captivate an audience, and such will be the case this Friday, July 22, when the Chris Vance Quartet performs during the fourth 2016 installment of LakewoodAlive’s Front Porch Concert Series. 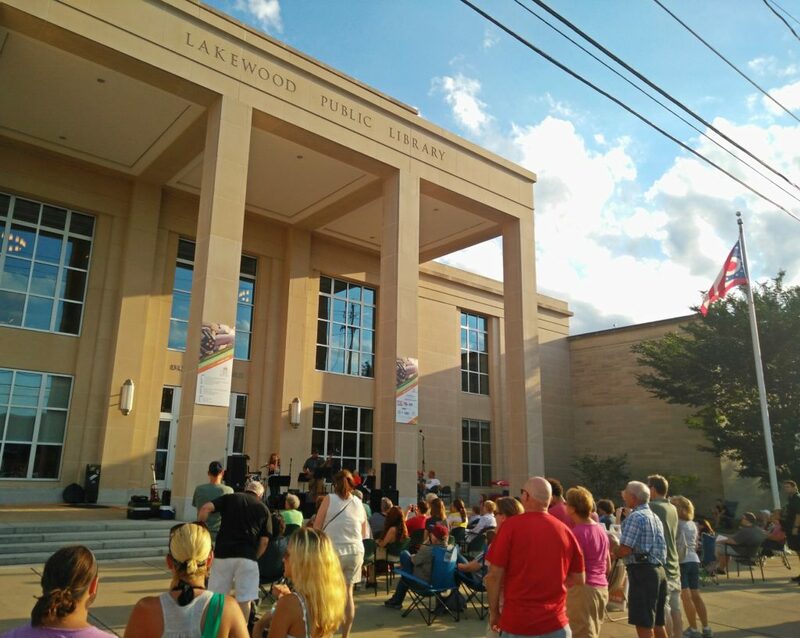 The Chris Vance Quartet performs on Friday, July 22, on the front steps of the Lakewood Public Library. Week 4 of the series brings to the stage the Chris Vance Quartet. Specializing in various styles of jazz, this group of seasoned musicians is comprised of Bobby Ferrazza (guitar), Tom First (tenor sax), Donnie Patterson (drums) and Chris Vance (bass). The members of the Chris Vance Quartet boast a diverse, extensive musical background. Ferrazza serves as Professor of Jazz Guitar at Oberlin College, First performs in several bands, Patterson hails from the influential music city of Memphis and Vance owns Vance Music Studios in Lakewood.